The W in todays WTF Wednesday stands for Wow…and Winner- I did it! NANOWRIMO- 50,000 words in the month of November. I wrote a bit about it here and here. Essentially it’s a bit like a marathon for writers. Our poor little writers wrists burn, our eyelids need propping open, our body fluids are gradually replaced by copious amounts of caffeine or alcohol (I think it was Ernest Hemingway who said something like write drunk and edit sober…) and most of us have hit a wall at some point through the process- usually it coincides with the saggy middles, anywhere between 15,000- 30,000 words. In our case the “wall” isn’t extreme physical exhaustion (although it can be)- more often it’s a blank screen, or page. The hardest part of the process by far is fitting in the writing around life- because it doesn’t stop. For those of us with kids, we all know that November is the time of the year where end of year exams, end of year performances etc all start to fill up the calendar. In addition, most of us have jobs and other responsibilities- not to mention annoying calls from endless charities at this time of the year (and yes I know about the do not call register, but charities are exempt) right in the middle of a scene. So, if it’s that fricken hard, why do I do it? To be honest, asking a writer that question is a little like asking a marathoner why they lace up the trainers to put their bodies through 42kms of pain, or asking a climber why they do Everest. The answer is simple- because it’s a challenge and it’s there. It’s a great idea to take an idea for a test flight. For 50,000 words you get to play with a concept or a character- that’s a pretty good test run and you haven’t wasted any more than a month. It’s great training- to be a writer you have to get in the habit of writing- every day. Because it is only a month, you can experiment with different techniques to get you through the wall, through the saggy middle and to have a little fun with the process. Marathoners and climbers pull on their trainers each day and practice. So do writers. For us, our training is the words we write each day: the journal entries, the blogs, the snippets of overheard conversations, the 2 line character sketches. I then wrote an ending and started to ask- what could possibly have happened to get her here, or make her do this? Then, at about the stage where the wall and the saggy middles would hit, I went back to my opening chapter and started from there. This meant that I didn’t really hit the saggy middles, so was able to keep my enthusiasm high throughout the month, but it also means that I still have those chapters to write. See, that’s the other thing about nanowrimo- unless you’re writing a novella or a short form category novel (such as a category romance), 50,000 words still leaves you short about 35,000-50,000 words for it to be a full novel length. More if you write saga or other long form novels. Finally, because I’m an astrologer, I had a bit of fun with the Moon cycles. Each sign is associated with certain activities. There’s certain days of the month where energy and creativity flows freely and others where you can buckle down and get the detailed work done. I used that. As an example, the sign of Taurus is associated with routine, art, good food, wine and the things you don’t need to get off a couch for. Those couple of days I stuck rigidly to routine and I wrote scenes where I needed to describe food or restaurants. 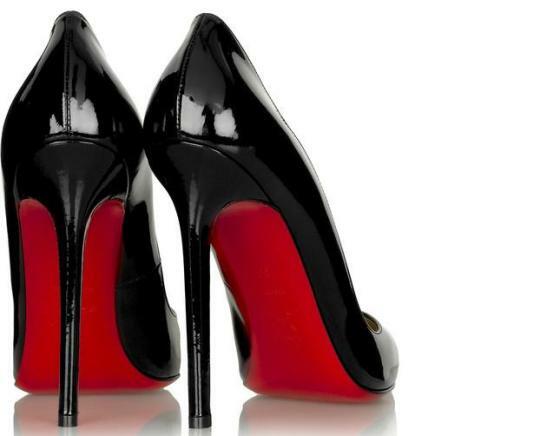 When the Moon was in Libra I gave my heroine a gorgeous pair of Louboutin shoes…) and wrote a couple of social or party type scenes. When the Moon was in Pisces my imagination flowed and it was time to pop on the rose coloured glasses and write the falling in love back story. As for those “spicy” scenes? Moon in Scorpio and Venus in Scorpio did the job. I know it sounds weird, but it worked. I also used music– certain songs to inspire particular scenes. I have a nightclub scene that was written to the Veronicas Take Me On The Floor and another that I was playing a Fine Frenzys’ Almost Lover in the background for. These tactics worked for me because I’m not a planner- as I said, I started the process with a single line that was inspired by a news story that I saw while at the gym. My words are done, but they’re raw. Those of you who plot and plan may get the words out more slowly, but you may save time in the long run on endless re-writes. Keep going- every word you put on that page is one more than you had at the beginning of November. If you’re a planner, every minute that you’ve invested in back story, character or plot development is worthwhile. Resist the temptation to edit. I can’t stress this one enough. Life will get in the way- so don’t beat yourself up. The point is, you’ve started and you’re continuing. As I said, I need another 35,000 words for a credible first draft, and then the really hard work begins. I’ve set a challenge for December to have a completed full first draft. There’s no reason why I can’t get there. The chick lit book that started life under the last nano I did (I wrote about it here) has been re-written twice, edited once more and is about to undergo a manuscript assessment/structural edit in an attempt to tighten the saggy bits one last time and fine tune my opening page into something that will shine through a slush pile so brightly that no publisher will be able to resist calling for the manuscript. I saw this on a friends Facebook page. 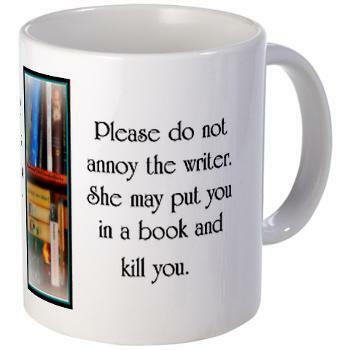 It’s available from http://www.cafepress.com/titlewaveforbooks. I’d love to know- what gets you inspired when you hit that wall? Wow, well done! I love the notion of starting at the end. But all of that aside – a great achievement given that you had some travel and a lot happening at the time! Bring on the next 35,000 words! You are one clever chickie! I really admire how you managed to get to 50k words in a single month – my paltry 13000 pales in comparison! But its 13k more than I had an my story now stands at 43K so I am happy with that. Thanks Donna & re your question? The answer is the dreaded Aries C word- consistency. Best way for an Aries to achieve goals is to set little ones with short horizons ie maybe a chapter a week. Even saying a chapter sounds shorter and more achievable than however many thousand words. And try writing them out of running order. Aha, thanks for this Jo! I think that is why the whole “near enough” NaNoWriMo appealed – a smaller goal was far less daunting and it did give me the basis to learn consistency.